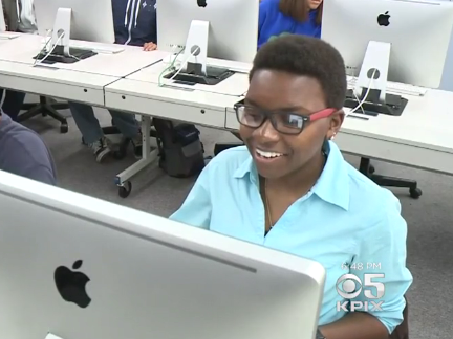 Webster has been an Honor Roll student throughout high school and plans to go to college -- but Elexis’ story is far from the norm, CBS SF Bay Area reported. Growing up, her family lived on the streets, in a dug-out, a car, a motel and anywhere else they could find shelter. Elexis suffered constant physical abuse and said there were times when she and her sister were left alone for days with no food. She had developed a highly compromised immune system from her living conditions that left her sick in bed missing school for weeks at a time. At age nine, Elexis had to be rushed to the hospital because her oxygen levels were so low that she nearly died. Elexis has been living with Mema for almost four years now. It was Elexis’ first and only foster home. Though Elexis said she initially viewed foster care in a negative way, her views soon changed. When asked about her relationship with her foster mom, Elexis said, “Mema’s my mom. She’s my mom”. Through her foster mom’s care and guidance, Elexis went to back to school. She said it was really hard to go to 8th grade after not going to school for three years while homeless. She was concerned she wouldn’t be able to keep up with the students her age. But her Mema was there with words of encouragement. She now looks toward the future. “I see success, I see happiness, and I see peace,” she said.